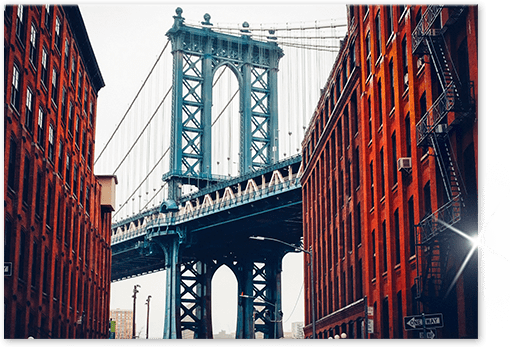 Large acrylic prints – XXL Sizes with 100 % FREE delivery! Large acrylic prints are particularly impressive, since the glass surface can exert its glossy effects especially in XXL formats. 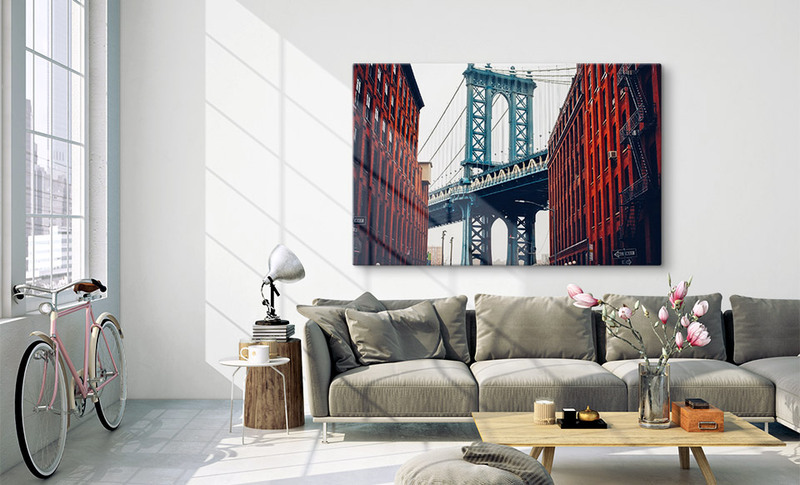 Large acrylic prints printed as an eye-catcher for your own home will seem through the glossy surface like a glimpse into another world. 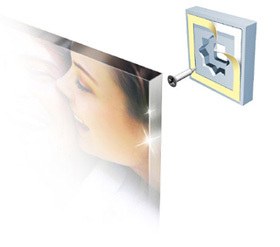 Acrylic glass photos are ideal for the printing of large-format wall art, since, despite their size, they are not so heavy. This is due to the acrylic glass, which is still easy to work with, even in larger formats. In contrast to mineral glass, shatterproof acrylic glass weighs much less. Because large acrylic prints look so impressive, they are often used for decoration in the gastronomy business. 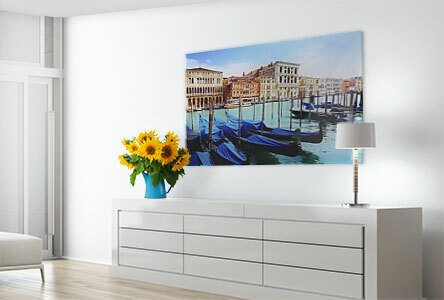 Expansive wall areas can be decorated very attractively using large or custom size acrylic prints. 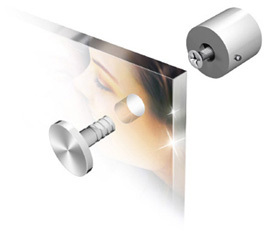 We offer XXL photos on glass in two variants. There are no limits as to size – we can manufacture any size on request, even custom formats! Individual size requirements are manufactured down to the centimetre according to your specifications. From a size of 140 x 105 cm or 150 x 100 cm, the pictures in production are considered large-format. In this range of sizes, we always recommend the product variant with 8 mm thick glass. This provides the large acrylic prints with considerably more stability than the 3 mm variant. 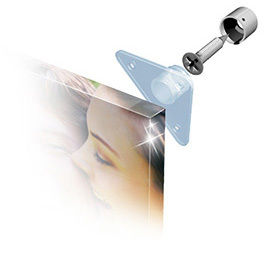 For large format acrylic printing, you need an image file with the appropriate resolution. We accept files in JPEG and PNG formats. If you want to use a colour profile, we recommend SRGB or AdobeRGB. Since resolution requirements for acrylic glass printing are already quite high, very large files are required for XXL prints. This can easily mean a file size of over 50 MB for large acrylic prints. However, we cannot accept files of this size via our upload function. You can send files like these via DropBox or We-Transfer to our contact address.